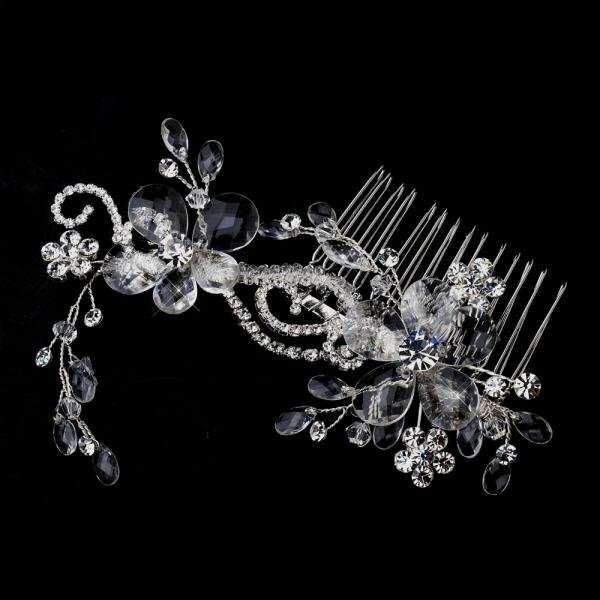 Precious and charming, this marvellous hairpiece features two clear crystal flowers surrounded by swirls of dazzling rhinestones and sprays of ravishing Swarovski crystals. Perfect for brides, bridesmaids, formals, sweet sixteens and special occasions. Size: 9 cm tall 12 cm wide.